I have interacted briefly with Phil Libin and I agree wholeheartedly with this article. He is definitely one of the most underrated CEOs in the Valley: his approach is unique but seems to be working really well for the company. Moreover, he epitomizes what I would describe as “a nice guy”, which is surprisingly rare in the Valley. His vision of creating a 100-year company is a very refreshing break from the many serial entrepreneurs. Many in the valley have similar opinion of him. We need more guys like him. I think the biggest challenge to Evernote is the proxy server at work that blocks Evernote. How does it help people at work who are behind the firewalls of paranoid, security-challenged IT departments? Phil also shined when I met and listened to him speak in Beijing. He is leading one of the very few Silicon Valley based mobile companies that are succeeding in China. Largely, it seems due to his focus on building a global company from onset, not building a company, and later trying to change it to gain users internationally. I’m looking forward to hearing him again at Global Mobile Internet Conference in San Jose. Evernote works beautifully with Chrome & Android. I use it all the time now. The web clipper with Chrome that captures web pages is incredibly smart. I used the free version until my provider (Orange, France) offered me a one year business version. I was an advocate and keen early adopter of Evernote for exactly the reasons mentioned above. I don’t the company or Phil Libin, which is the crux of the article’s point, but I do have a lot of respect for the way they’ve gone about their business and their products. I also enjoyed listening to Phil’s story on This Week in Startups among appearances elsewhere. The problem I found is that after a while, Evernote is just a bucket of nothing or something. The way stuff is stored suffers the same fate as opaque desktop folders – they serve the tendency to file and forget. How often do we really re-visit those clips? I prefer to store information visually – by proximity, colour, shape, size, explicit / implied relationships, groups, clusters. It should be tactile and easy to manipulate. What if the content I stored has actually been updated by the source? or if the content creator has new and pertinent information to share? The content is static and thus immediately devalued after I store it. I prefer my information to tell me when there’s updates, to feed my new information and make it easy for me to use and share that information too. 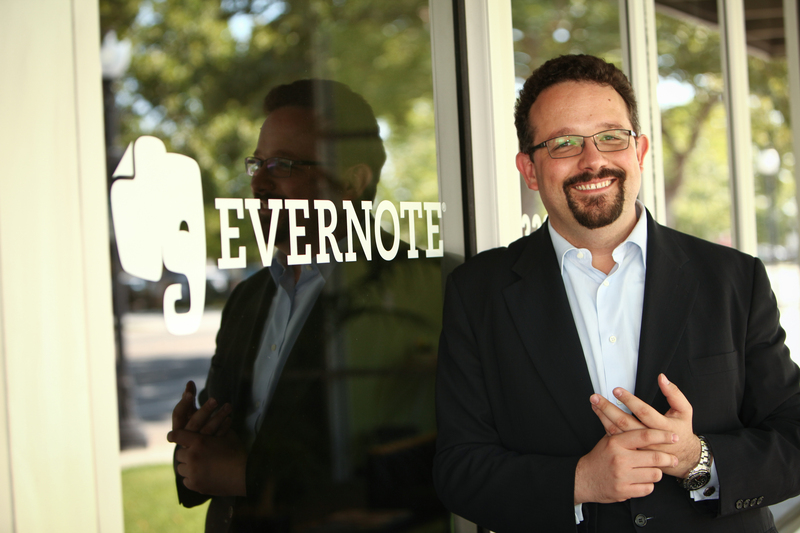 That aside, I do wish Evernote all the best. Great brand, good company, awesome team as far as I can tell. Thanks for sharing your thoughts about Phil and the company. Hopefully we shall see you back with more of your thoughts on them in the near future. I use Evernote on iOS, OSX, Windows, and Android and find it to be a reliable and stable product; it is my primary tool for taking notes in conferences and meetings and for capturing and cataloging my thoughts and general facts about my world. I agree with the article that Phil Libin is a great spokesman for his company. I have listened to several recent interviews with Phil Libin (Le Web and TWiT/Triangulation) and find his ideas for running a business and for providing value to customers very compelling and it is this that has as much to do with why I chose to support the company as with the quality and utility of the product. I don’t find that their business model fits into the freemium mold very well. They omit very little from the free product (versioning might be about it) and the difference between free and premium shrinks with every new release. Instead, it seems more or less to be the value-for-value model. This might explain why their subscriber percentages rise significantly for customers who have been using the product for three years or more – about the time where the value proposition becomes significant. Both the free and paid versions have worked out fine for me (android and desktop, sans iOS). I have listened to Phil’s Stanford podcast many a times now and completely agree with Om on the “communication” insight. This trait of Phil could take Evernote where it is destined. An yes, there is too much juice already in the FREE version to prompt an upgrade. That will have to be another topic altogether. 2. the free service is so good that i don t even feel the need to pay. Not enough friction points in my view..
evernote is a great concept, but @ $120 per year I expect apps designed by gods their execution is sadly lacking. Yeah I know you don’t have to pay, unless you want offline access on your phone. But no offline data is a deal breaker. I mean what good is that shopping list you just wrote at home when there is no data reception at the store? I’m sure you always have coverage when you want to look or add a note. I think you’ll find it’s $45 per year! It’s not $120 a year. That sounds like the business plan pricing meant to be used by businesses. A regular user pays $45 a year. I think it’s a steal personally, but that all comes down to individuals and whether they think a service is valuable to them or not. $5 a month or $45 a year for individual premium user account. Or it continues to be free for those who don’t want/need more storage space or search capabilities. Totally your choice and a value regardless of what option you select. Great post Om, but the problem is, with all of Phil’s moves, he still can’t figure out how to stabilize their clients. Consistent lockups in Windows, mystical crashes on OSX, and no stability whatsoever on iOS mean this ‘external brain’ is about as stable as a D-list starlet off her medications. I have to say I disagree. I’m a premium user (for close to 2 years) and access Evernote via OS X and iOS and have found it generally very stable. I had one issue that the support team helped with swiftly; otherwise, it’s been great and I am happy to let non-users know about it. Thanks for sharing your experience with Evernote. I have personally not had a problem beyond finding that the app is a little too bloated. Admittedly I am on OS X and mostly on iPhone. I think you should get in touch with the team and have them deal with this issue. I know they are pretty obsessive about taking care of customers. I have also found Evernote and the add-on’s to be very stable. I also go back before it is the product it is today and I absolutely think it is the best – this from a power OneNote user starting in 2003. I am totally over to Evernote. I use Evernote every day and rarely have a problem. IPhone occasionally has issues, but I generally think that it’s an iPhone problem rather than an Evernote problem.